Tessa Thompson and Chris Hemsworth were first paired in the hyper colorful Marvel movie, Thor: Ragnarok. 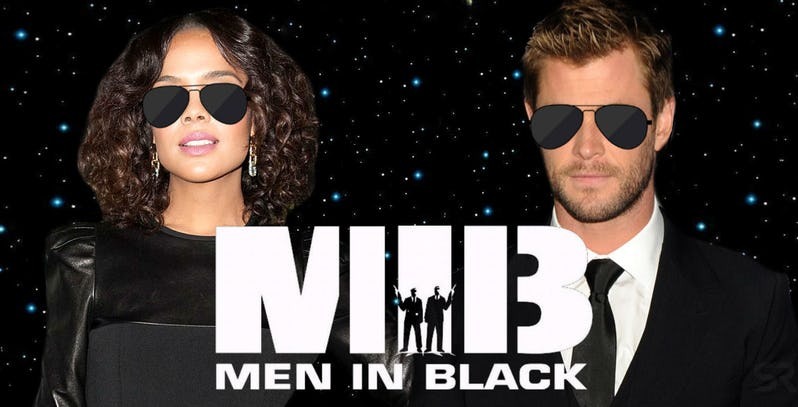 Now they're back together in the upcoming Men in Black spinoff, MIB: International. 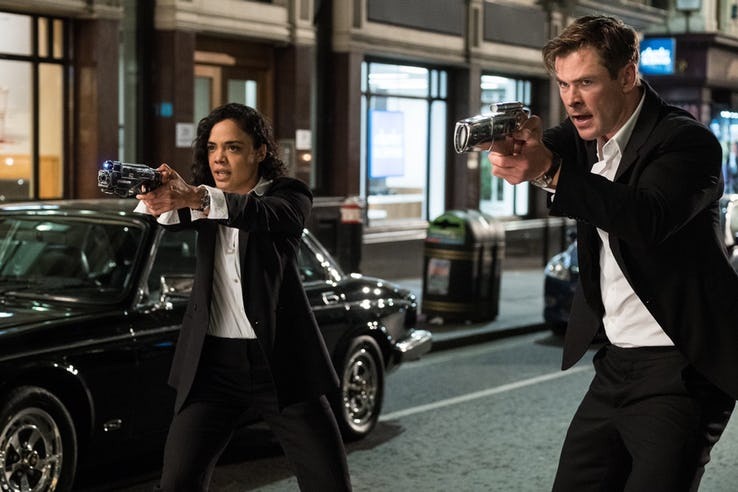 The film is apparently set in the same continuity or timeline as the original series starring Will Smith and Tommy Lee Jones but centers on a different team of agents that do battle with some alien forces. These new characters work at the London branch of the MIB. "this shot was taken in between set ups when Tessa and I noticed some criminal activity on the streets of London. We immediately drew our laser guns and took down one of the largest crime syndicates in the city. Happy to say the streets of London are now safe again. You're welcome world".